Popsicle (may also be referred as kuchi ice, freeze pop, ice lolly, ice block, ice pop, etc.) is prepared by freezing any flavored liquid. You may prepare different flavors, adding fruits, chocolates etc., using your creativity! Beat the heat with yummy Popsicles! 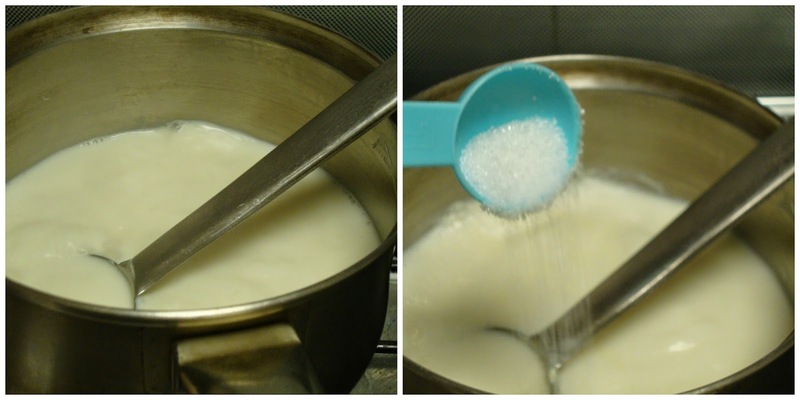 Heat milk in a pan and allow to boil. Add sugar and mix well till it is dissolved and switch of the gas. Once it is cooled add the rose syrup and mix well. Check for the sweetness. 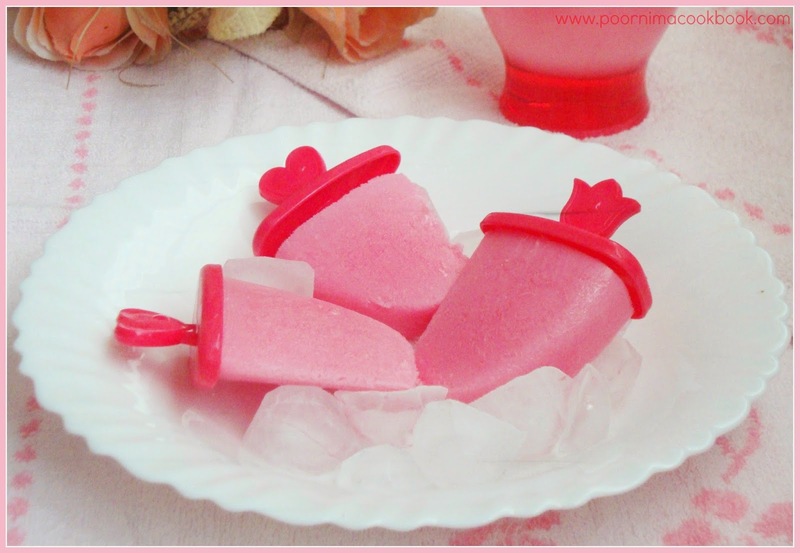 Carefully pour the milk into Popsicle molds / Paper cups and freeze for 5 to 6 hours or until firm. 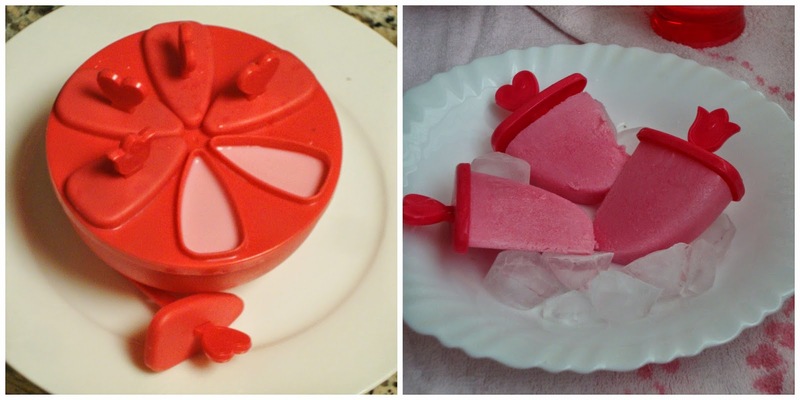 To remove the Popsicles from the molds/ plastic cups, hold the molds in warm water; it will come out easily. 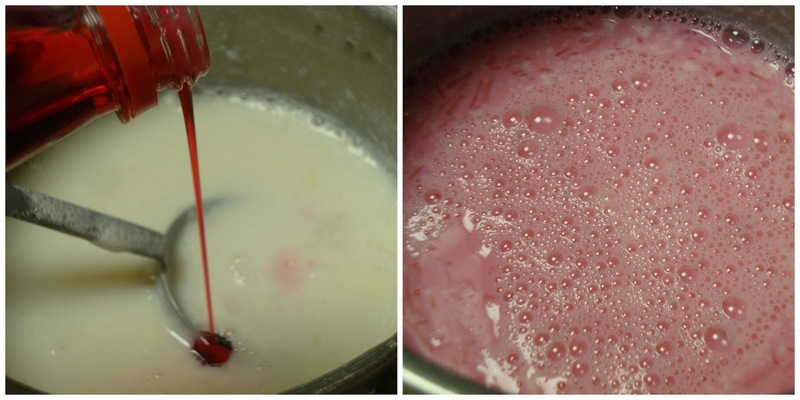 For more creamier taste, reduce the milk till it is thick and continue the process. Feel like licking those cute pops, prefect summer treat..
awesome color, they look so pretty and delicious! Lovely popsicles, kids will love it, perfect for summer..
Colourful popsicles. Sure kids love those popsicles. Even me. 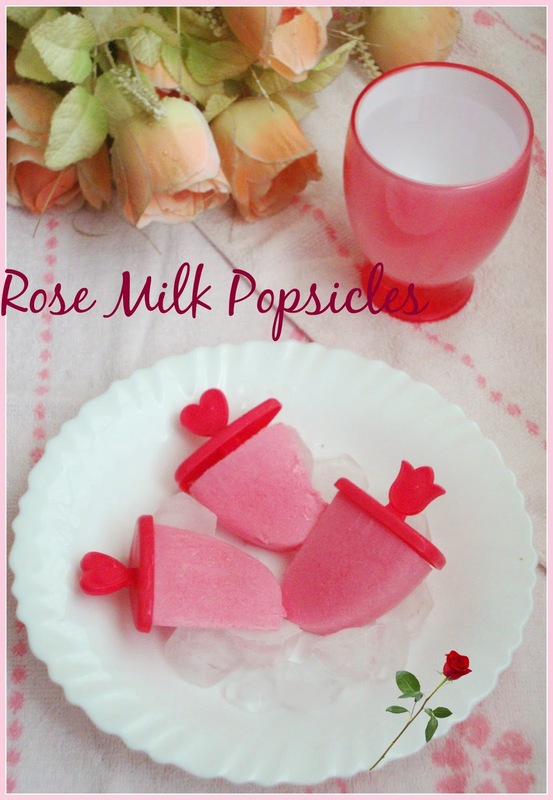 Rose milk s al time favorite..
Love that pretty pink, perfect for the weather..